A Steiner Page Hack – The 50th Anniversary of the Easter Week Rebellion issued by Ireland in 1966. 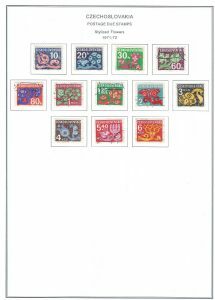 Another Custom Stamp Album Page I made in the Steiner Style for The 1924 300th Anniversary of Danish Postal Service. A completed Steiner Stamp album page – This is page 5 of the Germany1949 pdf file and features numerals and eagles from the late 18th century.